Formerly classed as Capsicum baccatum var praetermissum, and still sometimes listed as this. 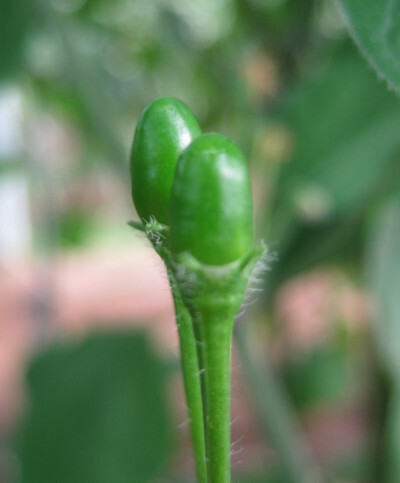 The tiny chillies are deciduous and fall from the plant when ripe. 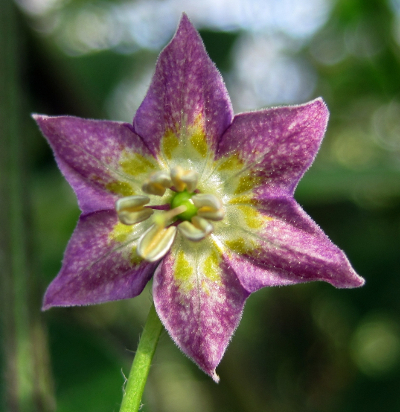 The flowers are very attractive, but Capsicum praetermissum is of interest mainly to chilli enthusiasts due to its very low yield under northern european conditions. Under tropical conditions it is very productive. 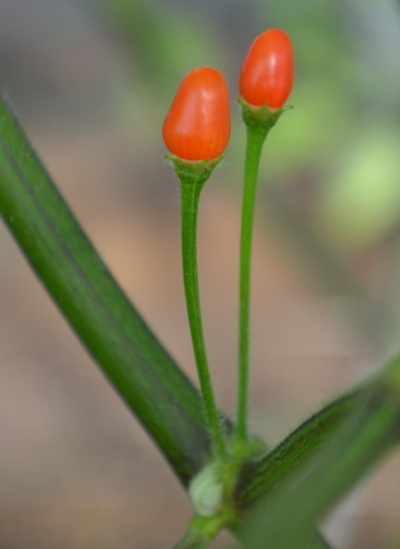 With a moderate heat and a smoky flavour, Capsicum praetermissum could be of culinary interest in warmer areas. It is cultivated in some areas of Brazil.